Kurdish forces in Syria and the Syrian government led by President Bashar al-Assad agreed on a plan to allow Syrian government forces into Syria’s Afrin district, currently held by Kurdish forces, this week to fend off the invading Turkish army. A Kurdish official told Reuters the troop transfer could be completed as soon as Tuesday, February 20. "The one thing that's clear is the determination of the Syrian government to reclaim every last kilometer of Syrian sovereign territory, this is the real story here," Peter Ford, former UK ambassador to Syria, told Radio Sputnik's Loud & Clear on Tuesday. ​"What the Syrian government is doing in Afrin is a lesson, a lesson to the Kurds in who they can count on when the chips are down," Ford noted. The complex web of alliances has pitted the US-backed Kurds in Afrin against the army of Ankara, which sees the Kurds as terrorists. The US has consistently blasted the Assad administration, yet now finds itself playing nicely with pro-Syrian government forces who vow to help the Kurds fight off the Turks — the US' NATO ally. "Reports of the Syrian government bailing out the Kurds is interesting from a US perspective because Washington sees the Kurds as a counterweight to the Syrian government and Iranian influence generally," the Council on Foreign Relations' Max Abrahms said via Twitter on Sunday. The Turkish government has not taken the introduction of the Syrian army to the Afrin region kindly. "If [forces supporting Assad] enter, then for what purpose? If they come to clear it from the [Kurdish] YPG, there are no problems. If they support the terrorists, no one will stop us. This applies to Afrin, Manbij and the east of the Euphrates," Turkish Foreign Minister Mevlut Cavusoglu said Monday. 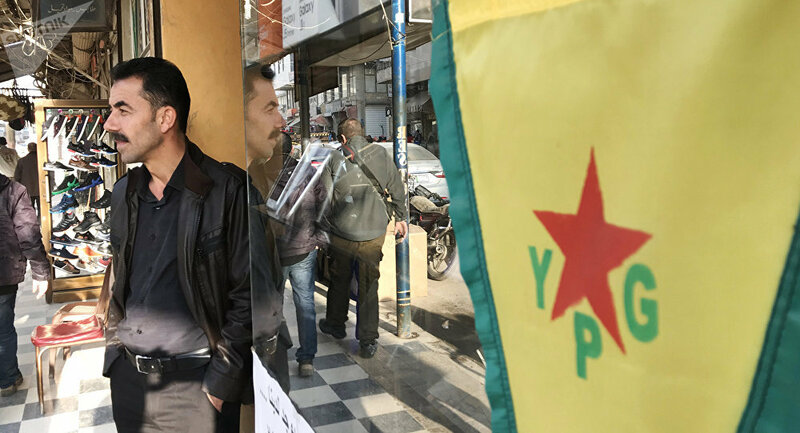 Varying reports have suggested the Kurds rejected Damascus' help; however, a YPG source told Sputnik that the Kurds had agreed to allow Syrian fighters to help them protect the Syrian city of Afrin. "We are urging the Syrian Army to come to protect the Syrian borders from Turkish occupation. Afrin is part of Syria, that's why we have called on the army to stand on guard of the border," a YPG representative told Sputnik.